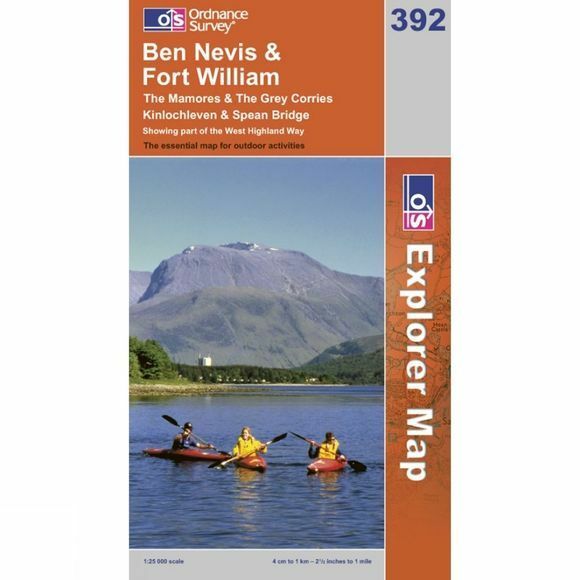 Ordnance Survey Explorer 1:25000 scale map covering Ben Nevis, The Mamores & Grey Corries.With its 4cm to 1km (2? 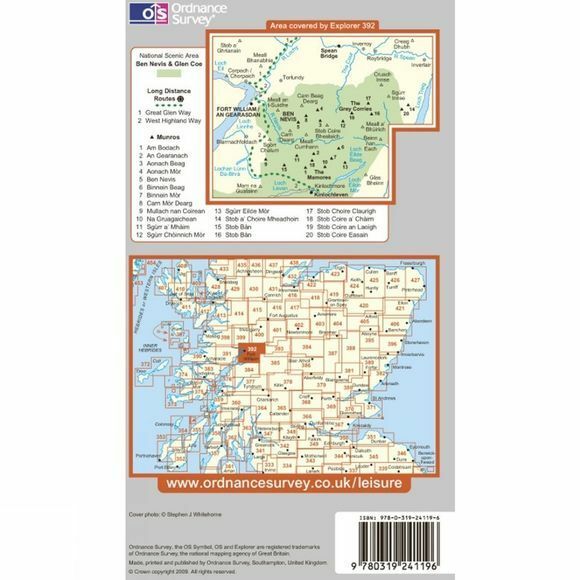 inches to 1 mile) scale, the OS Explorer Map series has been adopted by many individuals and organisations involved in outdoor activities ? from walkers to cyclists and from horse riders to climbers and water sports enthusiasts.Every part of England, Scotland and Wales is covered by 403 maps that include National Trails, Recreational Paths, picnic areas, viewpoints and selected places of interest. In addition, there?s Rights of Way information for England and Wales.